Short positions below 1.1455 with targets at 1.1405 & 1.1390 in extension. Above 1.1455 look for further upside with 1.1475 & 1.1500 as targets. Short positions below 1.3160 with targets at 1.3105 & 1.3070 in extension. 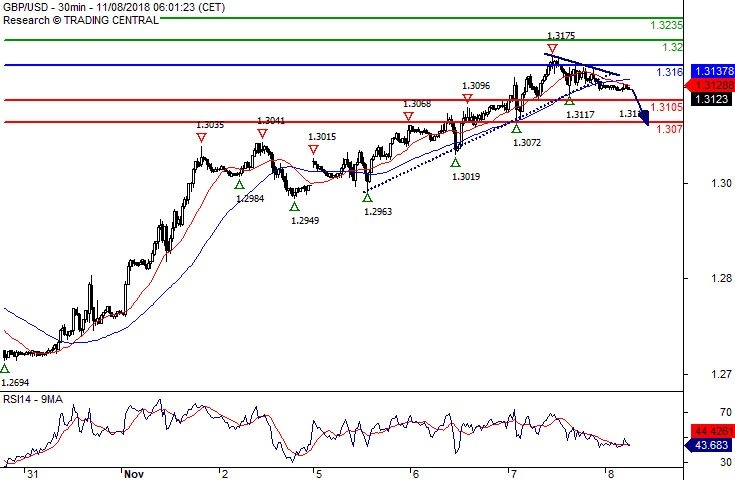 Above 1.3160 look for further upside with 1.3200 & 1.3235 as targets. 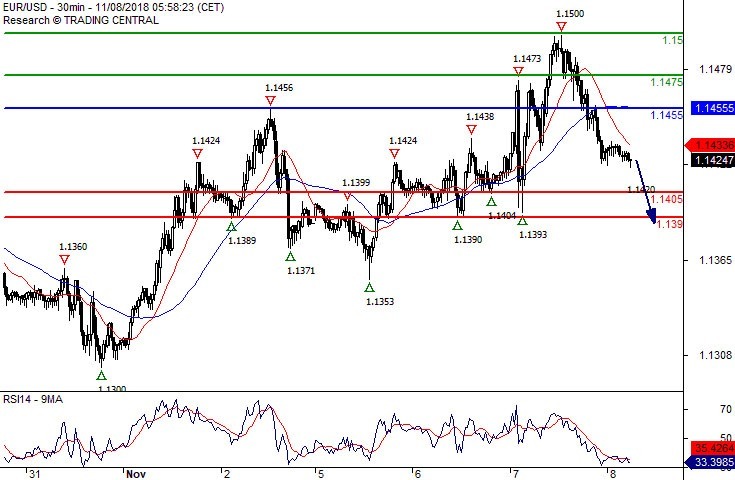 A break below 1.3105 would trigger a drop towards 1.3070. Long positions above 113.45 with targets at 114.00 & 114.20 in extension. 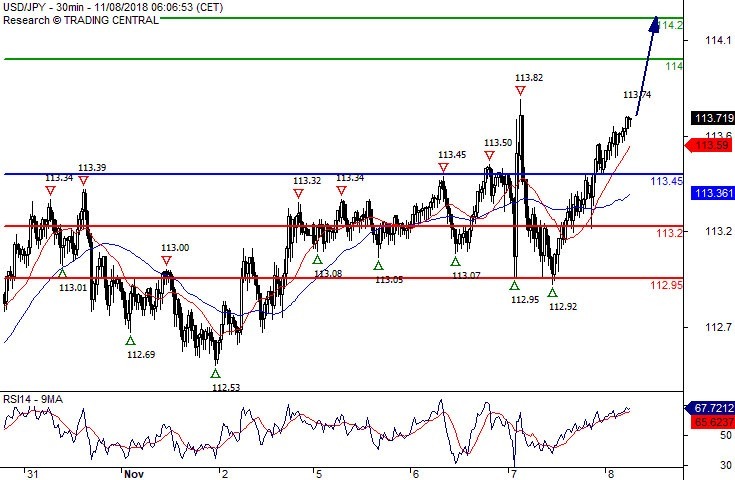 Below 113.45 look for further downside with 113.20 & 112.95 as targets.